Nearly 3000 sf of time-gone-by architecturals! Not your average home. Antique brick, real wood floors, old beaded-board, copper pot light fixtures, tongue-in-groove ceilings, stained glass windows , claw-foot tubs and antique doors make this home one of the most unique on the market in its price range. Gorgeous front elevation is only the beginning in landscaping that you will see as you enter the home and end up on the huge, vine-covered arbor back porch. You will overlook lush, carefree gardens and brick and pea gravel walkways and pathways–your own walking path/nature trail. The kitchen is to die for with 2 composite sinks, 2 garbage disposals, large, large granite-topped island with storage everywhere!! A chef’s delight, it has 3 stainless steel ovens, a warming drawer, brick archway over the stove, stainless steel backsplash and countertops, a real wood chopping block, brick floors, and a brick fireplace in the keeping room. Formal dining, bonus room (that could be a bedroom), office area and den with all brick fireplace are just some of the other rooms of the house. This one you have to see to believe!!! ON THE WATER!!! 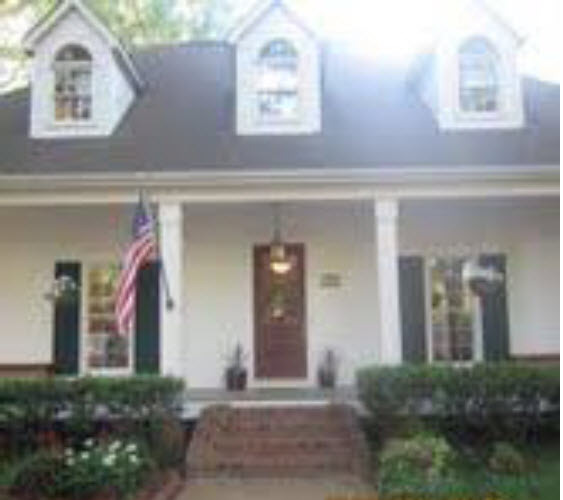 At Lake Caroline, with double boat slips, water deck, small yard, patio area and screened-in porch! All the emphasis on the back of the house and the “vacation-like” living to be had at this address! 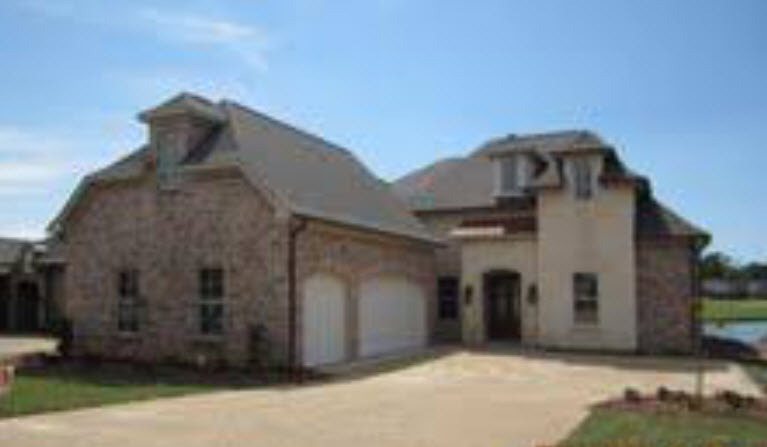 2850 square feet of brand new construction by Patrick Rowlalnd Builders. Architectural shingles, 3-car garage and low maintenance living on one of the last decent water lots on the Shores of Lake Caroline. New pine floors throughout, granite everywhere, Kitchen-Aide stainless steel appliance package are just a few of the home’s amenities. Large table-like breakfast bar in addition to keeping room overlooking the water. Maximum use of triple windows across the back kitchen, den and master to enhance views. The master suite is huge and there is no carpet in the home. The master has double vanities, whirlpool tub and gigantic, double-headed shower. The closet is to die for!!! It could be considered the ‘west wing’ of the house with lots of built-ins. 4th bedroom or bonus room up has full bath with shower and closet, but would be a great game room, media room or office area. All of the Lake Caroline amenities, such as 2 clubhouses to use, 2 salt water swimming pools, tennis courts, fine golf facility available, Mermaide Cafe, walking trail, playground coming soon, gorgeous grounds, and an 832 acre trophy fishing lake to play on! 2241 square feet of new construction with granite counter tops throughout, new pine floors throughout (no carpet) on a quiet cul de sac lot, with natural tree area to the rear and sites of Lake Caroline from the side. This home features 3 porches, the rear one screened in. Gigantic master suites with whirlpool tubs, double vanities, spacious showers with two shower heads. Open floor plan features gas fireplace in den, flanked with built-in bookcases and open-to-kitchen and dining room arrangement. Laundry room, bath and bedrooms 2 and 3 to the front of the home, den and master to the rear of the home. This home has meticulous attention to detail and enjoys all the amenities of Lake Caroline such as, tennis, lake priveleges, 2 club houses, 2 salt-water pools, walking trail, soon-to-be playground area, golf on the premises and the Mermaide Cafe. Madison County tax base. 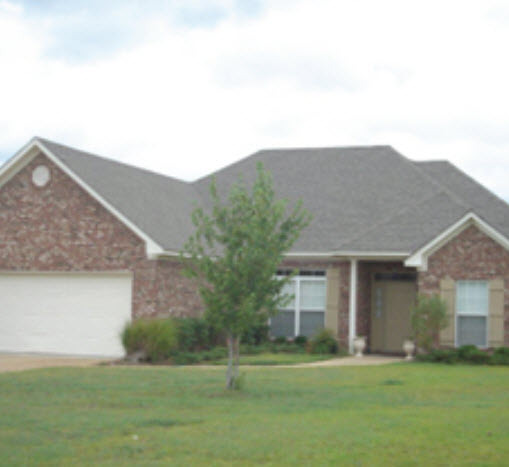 Priced to sell, this 3600 square foot home features all the bells and whistles that one could hope for! Viking appliances, huge kitchen- keeping room with stacked stone fireplace, granite counter tops, walk – in pantry, formal dining room, den with fireplace and heart of pine floors, and spacious bedrooms with gigantic closets featuring lots of built-ins. HUGE bedroom over the 3-car garage could be partitioned off to be two rooms. Beautiful Belle Terre Subdivision has community pool and the yard of his house is wonderful, featuring a iron-fenced yard, large covered porch and built-in stainless steel bar-b-que grill. Madison schools, County tax base and in the path of growth. Poised for a fast sale, this 1736 square foot home features a formal dining room with hardwood floors. The foyer, den and kitchen area have very kid and pet friendly ceramic tile floors. The spacious den has fireplace with ventless gas logs and the kitchen features a breakfast bar, dining area, stainless steel appliances, lots of cabinet space and a full pantry. Split plan has two bedrooms and spacious bath on the left side of the house, with the master on the right side of the house. The master suite has a sitting area or computer nook, double vanities in the bath, seperate shower, whirlpool tub, walk-in closet and private commode area. The home is in the Madison school district, but enjoying the county tax base. Amenities of this family-oriented neighborhood include a community swimming pool. Cutest patio home you ever saw!! Great for singles and empty nesters, all on one level. 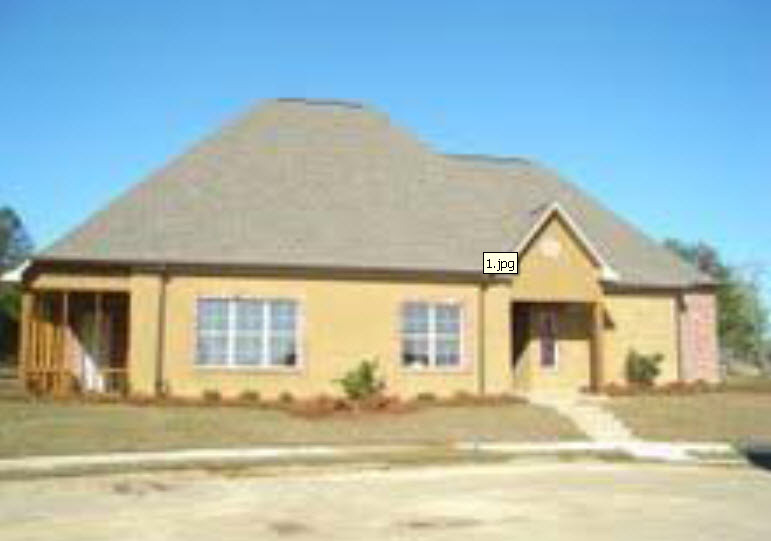 1567 square feet of 3 bedroom, 2 bath, newly redone with new carpet, paint and ceramic tile. All new updated wallpapers. 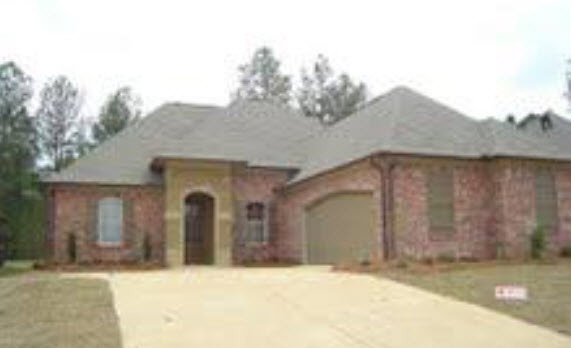 Nice size master with double vanities in master bath area and huge walk-in closet. 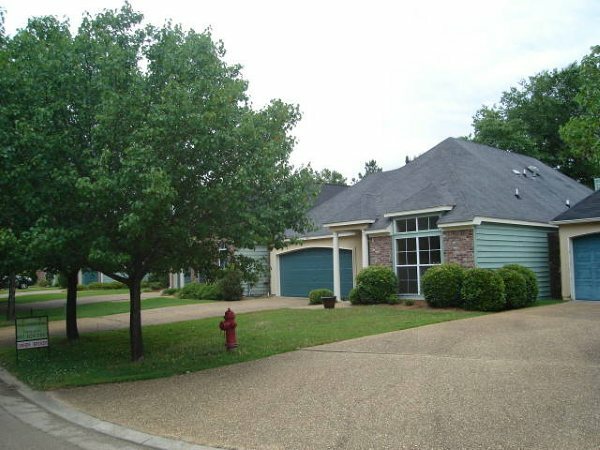 Small manageable front and back yard, 2 car garage on quiet cul-de-sac street. Fully fenced and private small back yard with patio. 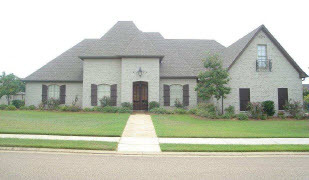 Ideal location in Ridgeland located in the midst of everything Ridgeland has to offer!